As mentioned previously, without their litter mates, your JA puppy needs other puppies of similar age to learn doggy body language and, more importantly, practice bite inhibition. It is very difficult to teach an adult dog how to moderate the pressure of his bite. For more on that topic, you may want to read this informative article on the ASPCA site. I encourage new owners to bring their pups to organized puppy socials as soon as reasonably cleared by the vet vs. waiting until the pup has received all required shots. However, you should make sure there have been no local outbreaks of any dangerous diseases in the area before doing so. Plus, a tired puppy is a happy puppy. When our pups attend socials in the morning, they usually come back and nap until late afternoon, which gives us a chance to catch up on household chores or… sleep. For the reasons above, it’s important to find the right mix of trainer and puppies so both you and your pup can have a good time. I urge you to visit and interview potential pup social facilities and trainers before bringing your pup in. Consider the following: Do they have an upper limit for the number of puppies per trainer at the social? Do they separate toy breeds from larger puppies during play? Do they host a separate social for shy puppies or younger puppies? Find out what is their typical clientele—if predominantly toy and small breeds, it might not be worth your time. How often should I socialize my pup with other dogs? Between the ages of 2-6 months, try to “engineer” opportunities for your JA puppy to interact with other friendly dogs at least 3x a week. The opportunities can be a mixture of a friend’s visit, a puppy social, and an off leash puppy class. But don’t pack everything into a single Saturday. Your growing pup needs alone time to reflect and rest, too. Similar to human toddlers, they can get cranky if they miss their afternoon nap. We followed this routine until puppy was through with teething, and sometimes added in a dog walk with our Shiba friends. Then she started additional classes with other ADL instructors and SIRIUS® puppy school. In her first six months of life, she had five sets of doggie classmates across four training facilities. She also got used to car rides in the process. After your pup has received age appropriate vaccination, another (generally) safe venue for dog-dog socialization is doggie daycare. JA puppies commonly enjoy attending daycare until they hit puberty. Then whether or not they are intact may influence whether daycare is still a suitable choice for dog-dog socialization. If you are able to find a dog walking or dog hiking service in your area, those are great options, too. What about dog parks for socialization? You probably noticed I have not mentioned dog parks as a venue for socialization thus far. I have mixed feelings about off leash dog parks, and so do several breeders in our club. I believe dog parks can be fun for socialized, well-trained dogs. But for young puppies who are still forming an impression of the world around them, the potential risks from an off leash dog park outweigh the potential benefits. 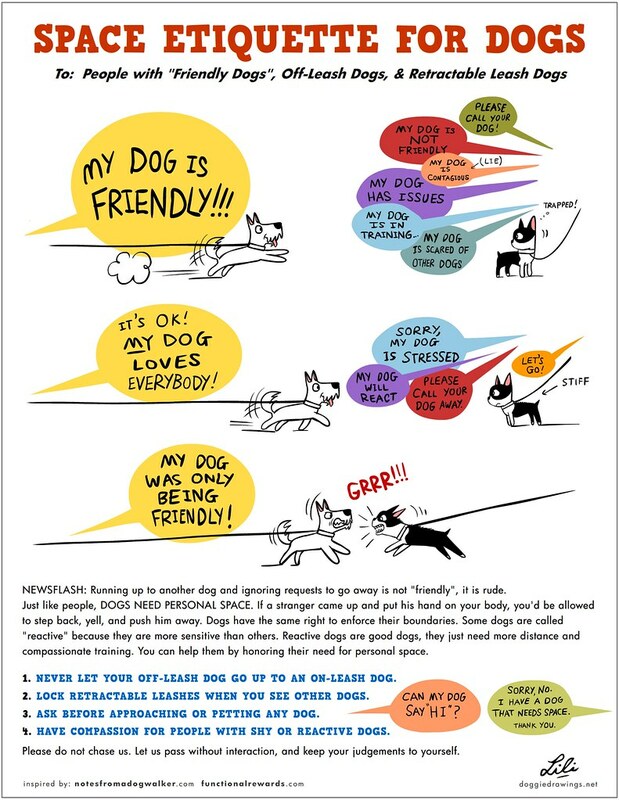 If you choose to use dog parks, the ASPCA has some great tips. Our male JA is the object of infatuation of a Shikoku male from our SIRIUS® puppy classes. The human owners finally figured out it would be a good idea to have a play date outside of class so the boys could blow off steam!